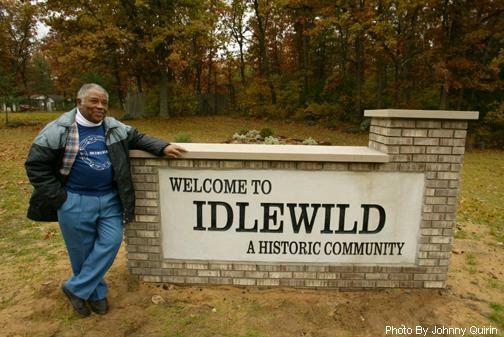 Idlewild, located in rural northwestern Michigan, holds a special place in the nation's segregated history. For many years, this "Black Eden" was one of only a few resorts in the country where African-Americans could vacation and purchase property. From 1912 through the mid-1960s, Idlewild was an active year-round community and was visited by well-known entertainers and professionals from throughout the country. At its peak it was the most popular resort in the Midwest and as many as 25,000 would come to Idlewild in the height of the summer season to enjoy camping, swimming, boating, fishing, hunting, horseback riding, roller skating and night-time entertainment. When the 1964 Civil Rights Act opened up other resorts to African-Americans, Idlewild's boomtown period subsided but the community continues to be an important place for vacationers and retirees. Idlewild also holds special meaning as a place for younger generations of African-Americans seeking to learn about their heritage. The Idlewild African American Chamber of Commerce was founded in the summer of 2000 by businessman John O. Meeks for the purpose of promoting existing local businesses and for attracting newer ones to the Lake County, Michigan area. Whatever Happened to Idlewild? - A Film By Coy Davis, Jr.